Electrotheatre Stanyslavsky (Moscow Stanislavsky Drama Theatre since 1931) launches a new project. Since now, all theatre production will be shown with English subtitles. Opera series The Drillalians in five evenings and six composers based on the novel-opera by Boris Ukhananov will become the first performances with subtitles. The world of The Drillalians is a fiction world dreamed up with attention to details. The fantasy genre has allowed six contemporary composers to create six very different scores out of stylistic frames. Each part of The Drillalians opera is an independent show with the original scenography. You can watch and listen to the series together or separate from each other. The first shows will be held on June 8, 9, 15, 16, 22, 23, 29, 30 and July 6, 7. In Addition, on May 31 two performances for children under two will be presented in English: The Gruffalo (at 12:00) and Zog (at 14:00). 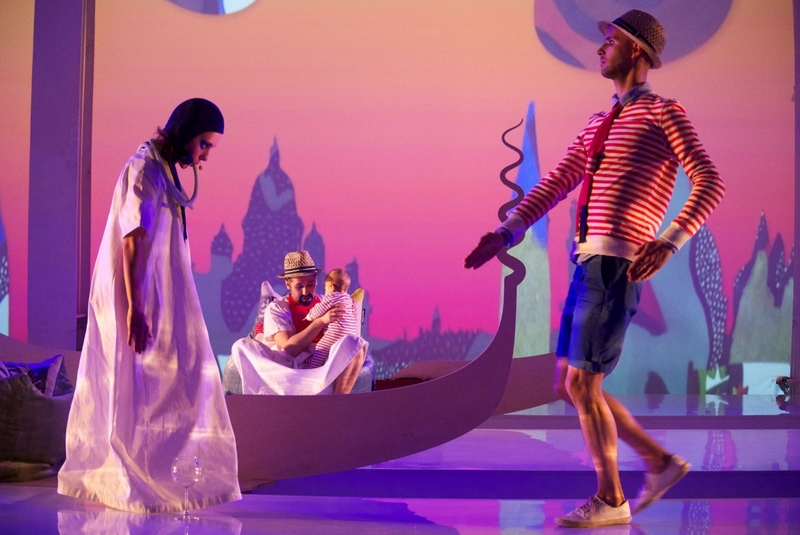 These plays, based on Julia Donaldson’s fairytales were created by director Martin Cook and a team of British and Canadian actors and musicians. The Gruffalo play is a story about a brave mouse, who outsmarted everyone in the forest. Zog reveals a story about adventures of a small dragon in a dragon school. Recall that in 2013, the Electrotheatre Stanislavsky’s architecture was updated on the project of architectural bureau Wowhaus. As a result, the most technologically equipped theater has appeared in Moscow, on Tverskaya Street, 23. It is a complex interdisciplinary platform, which is able to host stage productions, educational activities and exhibition projects. The Electrotheatre Stanislavsky opened after the reconstruction at the end of 2014 in the building of the Moscow Stanislavsky Drama Theater. The nearest plans of the theatre include creating a world center of directing, a union repertoire theater and modern cultural platform, the space for experiments of modern young directors, composers, artists and choreographers with classical theatre tradition.